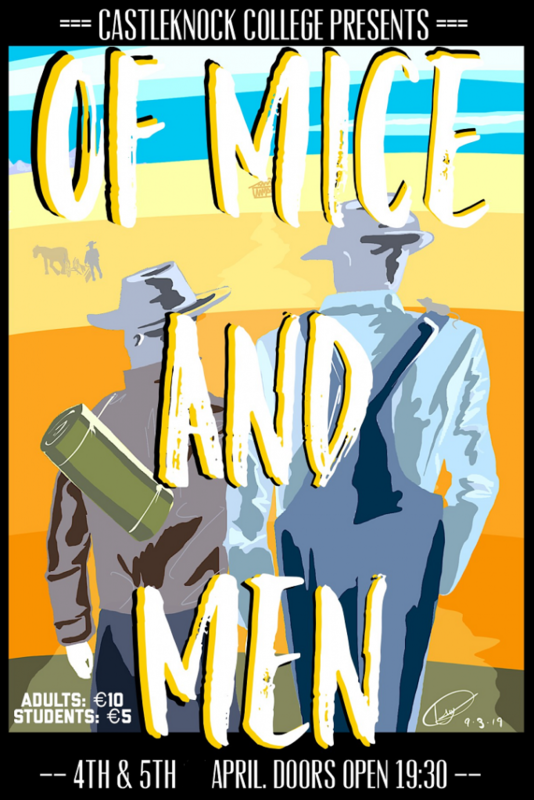 Drama returns to Castleknock College once more with this year’s production of “Of Mice and Men”. Performances will take place on Thursday and Friday, 04 & 05 April. Tickets are now on sale. Students will be going around to classes everyday, and will be selling tickets in the foyer from Wednesday 03 April onward. It’s sure to be a night to remember and we look forward to seeing you there!